Most radiators emit (radiate) stronger radiation in one direction than in another. A radiator such as this is referred to as anisotronic. Sometimes it is used also as a reference antenna, as the isotropic radiator. A half-wave antenna (referred to as a dipole, Hertz, or doublet) consists of two lengths of wire rod, or tubing, each 1/4 wavelength long at a certain frequency. It is the basic unit from which many complex antennas are constructed. 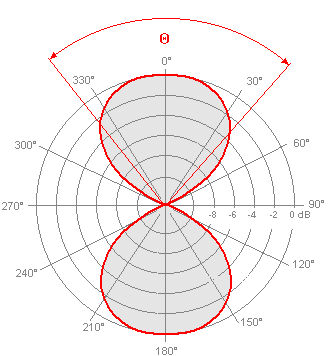 For a dipole, the current is maximum at the center and minimum at the ends. Voltage is minimum at the center and maximum at the ends. 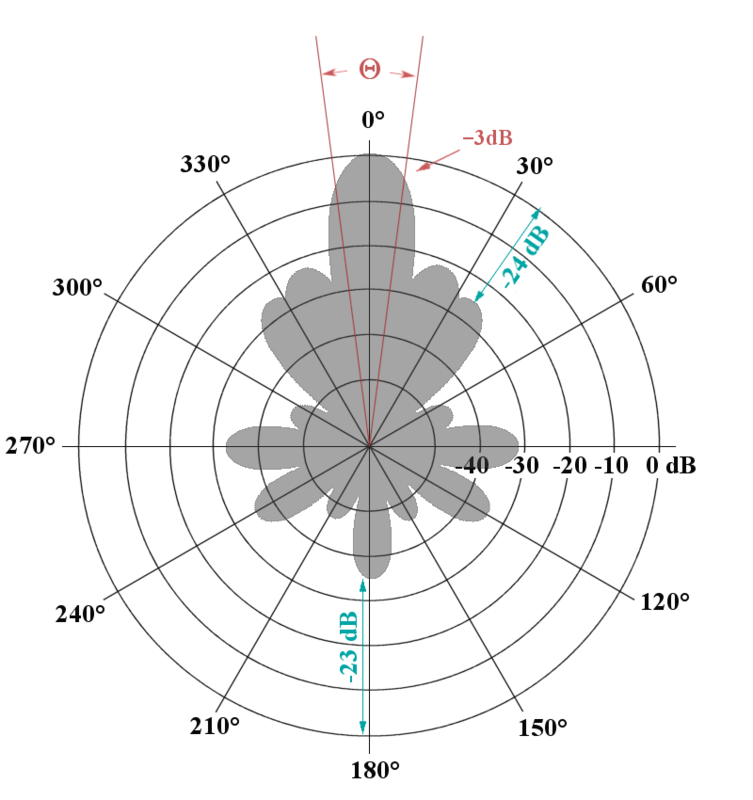 Energy may also be fed to the half-wave antenna by dividing the antenna at its center and connecting the transmission line from the final transmitter output stage to the two center ends of the halved antenna. Since the antenna is now being fed at the center (a point of low voltage and high current), this type of feed is known as the center-feed or current-feed method. The point of feed is important in determining the type of transmission line to be used. Standing waves of current and voltage similarly arise as when a parallel oscillating circuit. However, opposite the isotropic radiator with the gain of exact 1, the half-wave antenna already has an gain of about 1.5 while the maximum radiation comes from it in a direction perpendicular to the antenna axis. 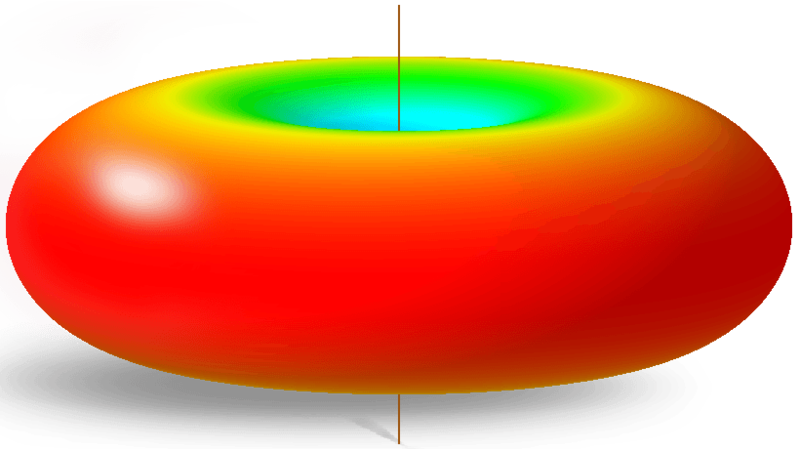 Figure 5: The antenna pattern of a vertical dipole, a result of a 3D simulation.. The half-wave dipole also has arisen from a simple oscillating circuit. We simply imagine that the condenser plates of the oscillating circuit are apart bent a little. The capacity is reduced now, but the condenser remains tobe a condenser with that. When a getting the condenser plates apart further the lines of force of the electrical field have to cover a bigger and bigger way. The form of the condenser cannot be recognized any more. The lines of force of the electrical field go over into the free space. A half-wave dipole has arisen which is now being fed at the center. The half-wave dipole also has arisen from a simple oscillating circuit. We simply imagine that the condenser plates of the oscillating circuit are apart bent a little. The capacity is reduced now, but the condenser remains the condenser with that. When a getting the condenser plates apart further the lines of force of the electrical field have to cover a wider and wider way. The form of the condenser cannot be recognized any more. The lines of force of the electrical field go over into the free space. A half-wave dipole has arisen which is now being fed at the center.  Figure 5: The antenna pattern of a vertical dipole, a result of a 3D simulation.